The Ground Effects Cushion Deck creates a smooth, cushiony walking and running surface. 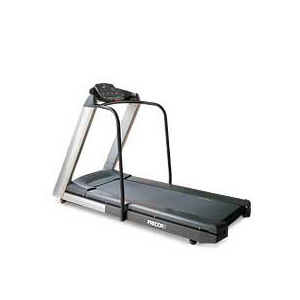 Other features include hand rails, water bottle holder, touch sensitive display and 21 programs make this refurbished treadmill a definite winner! Purchasing used exercise equippment is a great way to get the same quality, high-end fitness equipment that fitness centers use at a fraction of the cost. You cannot go wrong with a Precor treadmill purchase.